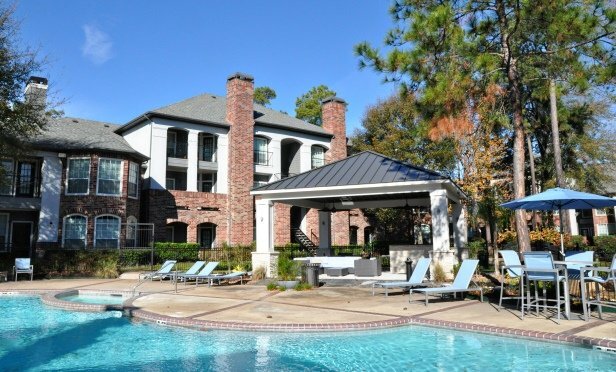 The Green Advantage program was used for Eagle Property Capital’s acquisition of three multifamily communities in Houston’s outer loop slated for half a million dollars in water conservation and energy upgrades. Champions Centre Apartments with 192 units is located in Houston’s outer loop. HOUSTON—Green financing was arranged for Miami-based Eagle Property Capital’s acquisition of three multifamily communities in Houston’s outer loop. The properties are Landmark at Barker Cypress (312 units), Champions Centre Apartments (192 units) and Champions Park Apartments (246 units). Eagle Property Capital will invest half a million dollars in water conservation and energy-efficient upgrades to the interiors and common areas of all three properties.